Two thousand, eight hundred and sixty runners took part in this years Percy Pud 10k which was won in a course record time of 29.13 by Jack Martin of Stocport with second placed Andrew Heyes also breaking 30 minutes iwht a time of 29.31. There was a battle for 3rd place between James Straw and Ben Fish which saw Straw take 3rd in 31.11 and Ben coming home in a time of 31.15 in 4th for a seasons best time. This was Ben’s 5th 10k this year, having won four of them and afterwards he commented that the “Race went well, knew no one would touch the first two. Disappointed I couldn’t pull away at 7km and secure third”. 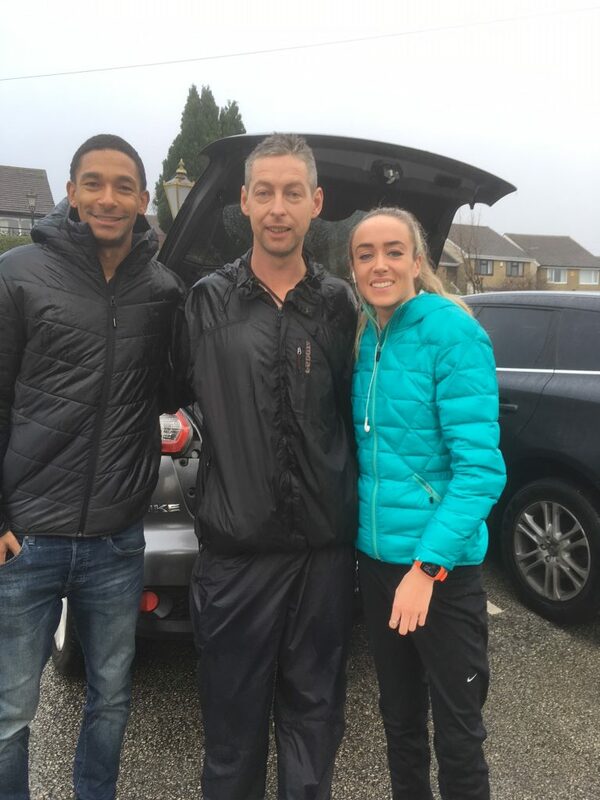 Also running in this Race was V40 Paul Jeffries who came home in 245th place with a time of 41.38 and he told the Harriers “This morning i took part in the Percy Pud 10k race in Sheffield organised by the Steel City Striders, It was a nice surprise to see a friendly face (Ben Fish), 41:38 chip time and 245th out of a field of 2860 competitors, the weather was cold and wet, i found the course to be quite challenging but felt strong on the hill climbs, also met a few sporting heroes before the race, Michael Rimmer and Eilish McColgan. Ben Brampton, Jayden Riley and Ben Boocock all competed at the first in this years six fixture Indoor Series held at Sportscity. It was agreat start for new member Jayden Riley (U15) as he won the 60m Hurdles in a time of 9.29 with Ben Boocock behind him in 2nd place clocking 9.57 which was seven tenths faster than his previous best so far and a new PB. Long Jumper Ben Branton (U17) tried the 60m and had a cracking run to win in a time of 7.71 which was six tenths faster than his last run over the distance indoors and another new PB. It didn’t go as well in the Long Jump for Ben as he finished with a leap of 5.11m for 13th place out of 19 competitors. 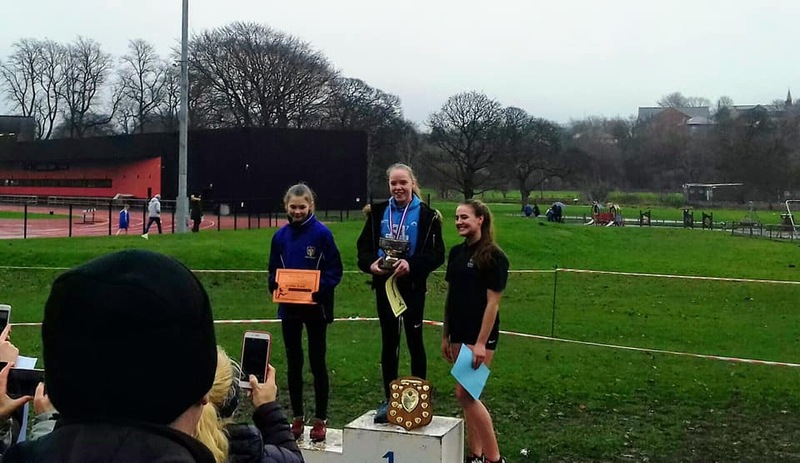 There were some very good results for Blackburn Harriers at the Town Schools Champs with all of these qualifying for the Lancashire Champs in February 2019. 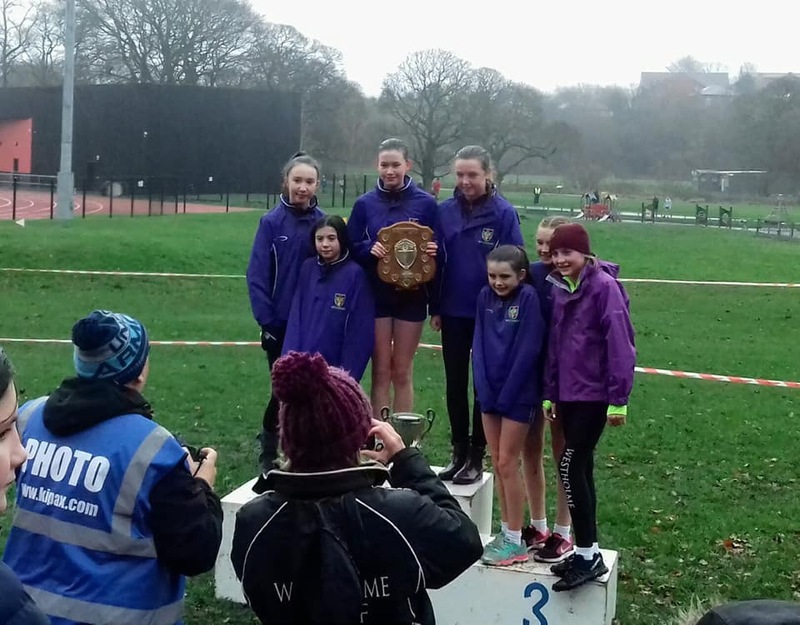 The official results are not yet available but at least 9 Blackburn Harriers have qualified – Hayden Mercer – Isaac Butler – Theo Watson – Hollie Cubbon – Leah Hoole – Kate Cookson – Amy Davies – Ruby Cain – Eva Knowles. – without the official results we are not able to declare any other runners as having qualified at this stage. Sunday saw the second round of this years Lancashire Sportshall Competition take place once again at Blackpool. 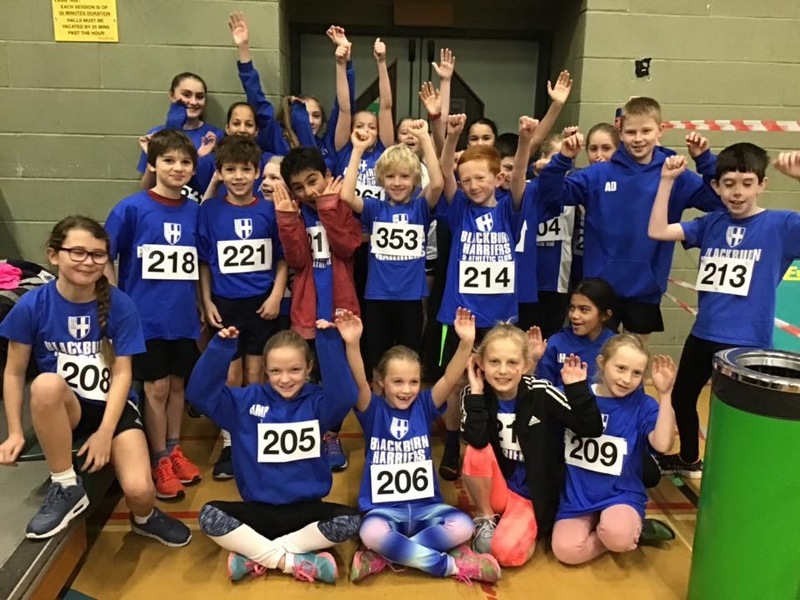 Team Manager for the day for both Boys and Girls was Sportshall Coach – Lindsay Davies who said that it was “Another enjoyable day at Sportshall but a bit quieter than usual, probably due to the cross country day before. 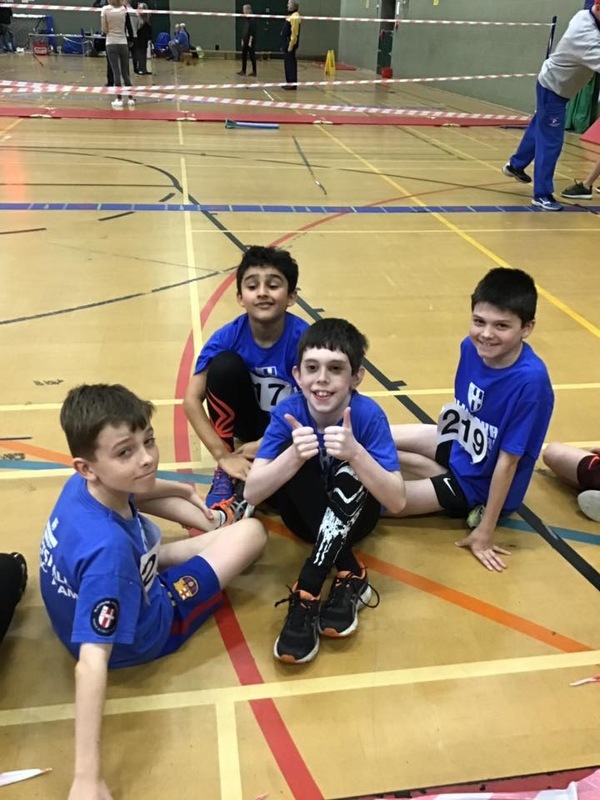 Our little Harriers are mostly new to the competition this year but that didn’t stop them putting every effort into the competition”. Alisha Lehner, Annabelle Logan, Alesha Hindle, Imogen Robinson and Brooke Szatkowski, who have done many competitions now, put in fantastic performances for the Under 11 girls. 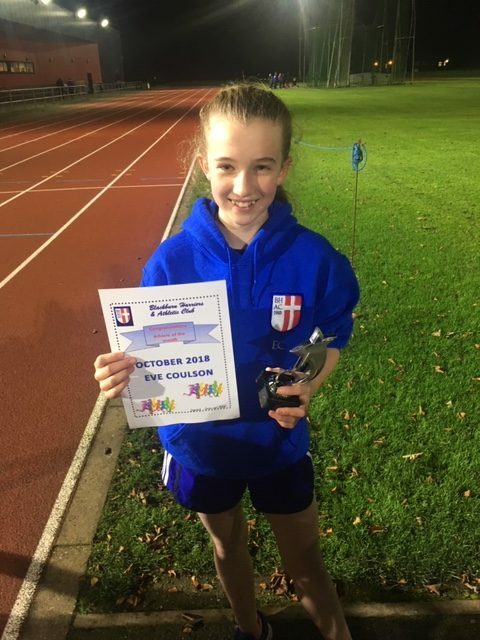 Evie Fort, Megan Purkis and Sammy Peacock, Maisie Taylor, Alex Peacock and Isabela Thompson who are all relatively new at Sportshall did fantastic too in the under 11 girls. 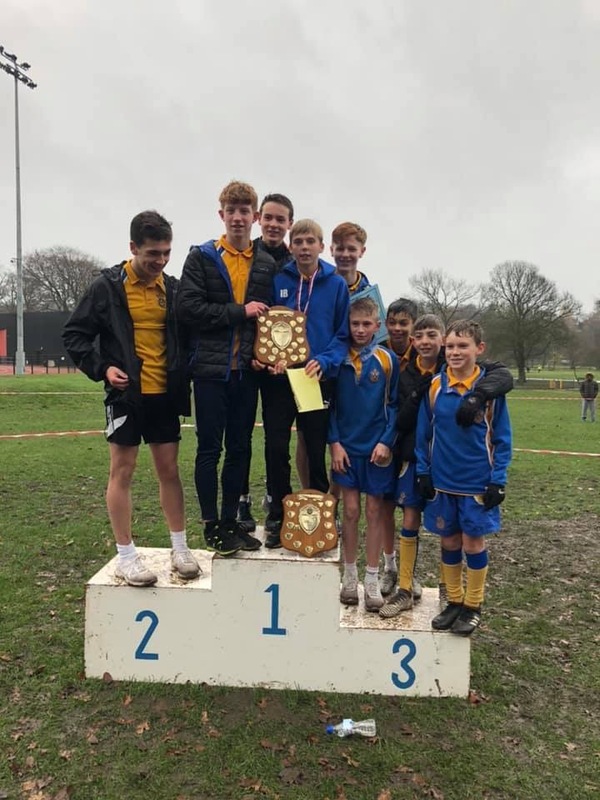 Under 11 boys consisted of Matthew Smith, Ben Ham, Cameron Osborne, Henry Gibson, Rohan McGoy, Jack Duxbury and Findlay Carroll, Matthew Lowe, Theo Robinson and Sam Craven, again as with the girls, we have a few new to Sportshall but they also put in some tremendous performances. 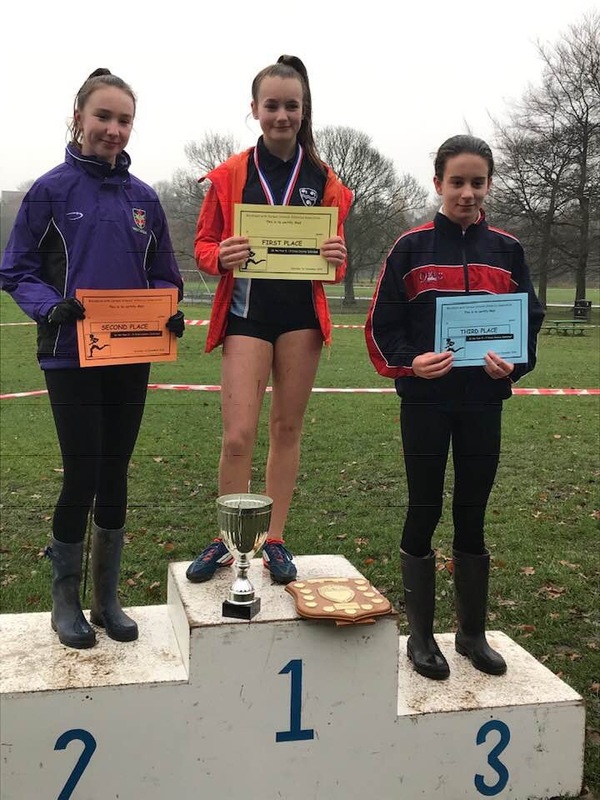 In the Under 13 and 15 Girls, we had some great performances from Niamh Gater, Lucy Rishton who had an impressive speed bounce of 81, Sophie Gibson, Uma McGoy, Isabelle Hartley and Imogen Mansfield also Myah Booth who won the under 15 girls athlete of the match. 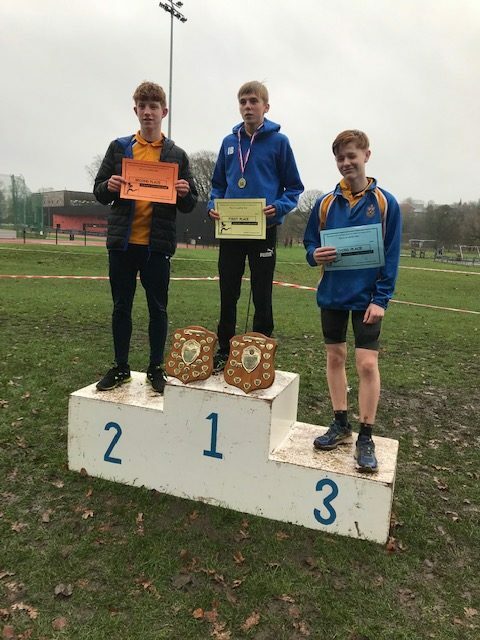 Under 13 and 15 Boys we had Aidan Downes, Isaac Butler (84 in Speed bounce) and Hayden Mercer. 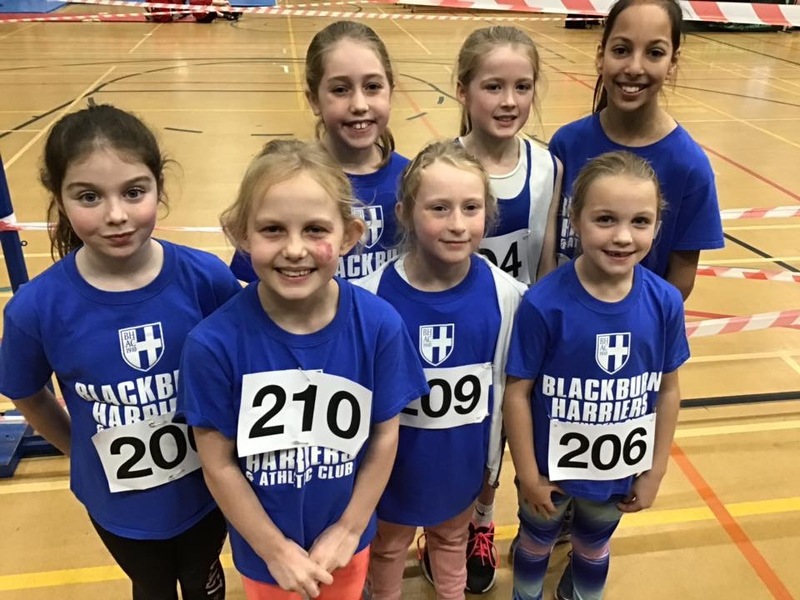 The Harriers scoring relay teams were:-Under 11 girls, Alisha Lehner, Imogen Robinson, Evie Fort and Brooke Szatkowski, Under 11 boys, Matthew Smith, Ben Ham, Findlay Carroll and Matthew Lowe. Under 13 girls, Lucy Rishton, Niamh Gater, Isabelle Hartley and Sophie Gibson. Under 15 girls, Imogen Mansfield and Myah Booth. Under 15 Boys Hayden Mercer and Isaac Butler. All athletes were very well behaved on the day and are a credit to the club, it is an honour to have such amazing young athletes. Thank you from Coach Lindsay. 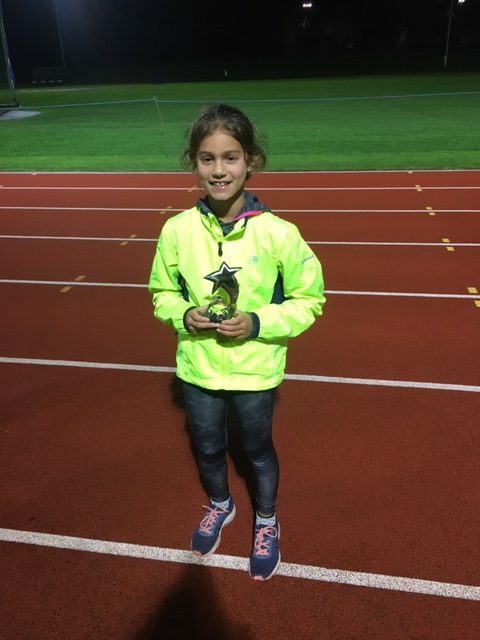 This Award is given each month to an athlete in the Junior Endurance Group and is decided byt he two Coaches – Lorna Sharp and Nikki Hartley. Their decision is based on the youngsters attitdue to training, their consistency in attending, their behaviour and ability to listen and take instructions and guidance on board and importantly, to understand the importance of supporting all the other members of the Group. The winner for October was Eve Coulson and the winner for November was Lulu Sharp.